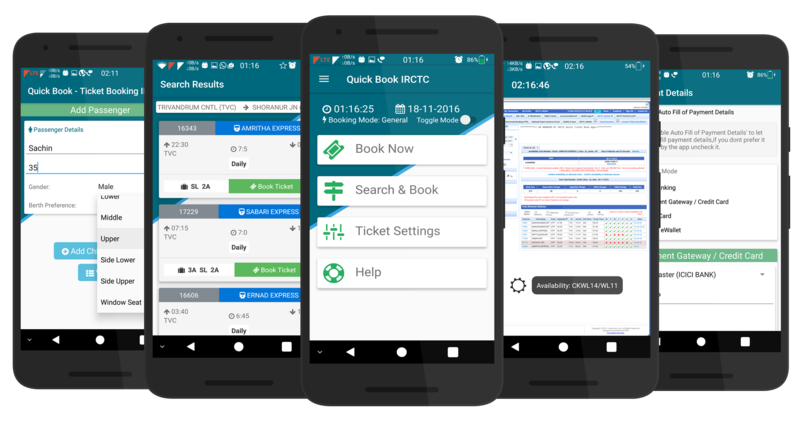 IRCTC App – Book Tickets in Seconds!! 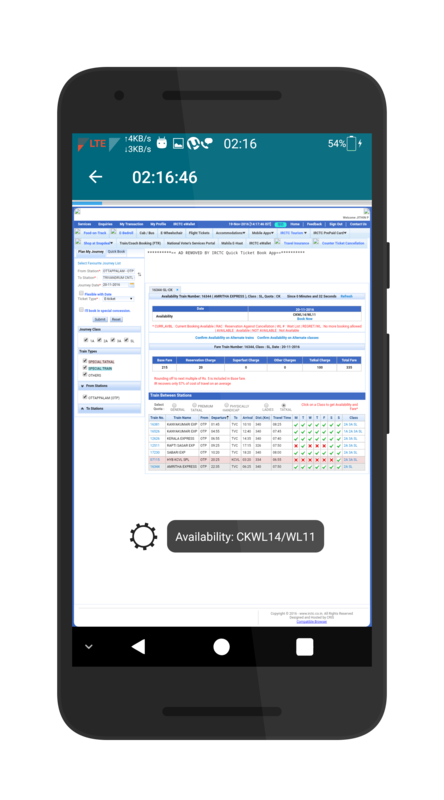 Complete Rail Information and Fastest IRCTC Ticket Booking Solution in the Market. Book Tickets Under 25 Seconds!!! Never Miss a Tatkal Ticket on Holidays/Festive Seasons!! 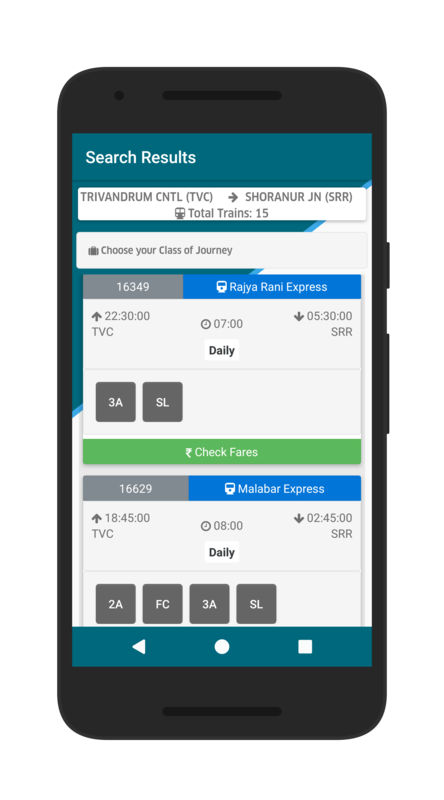 Fast Book-Tatkal Ticket IRCTC is the best Complete Rail Information App / Tatkal/General Ticket Booking Application/Software which speeds up the process of getting a confirmed ticket for you without compromising on your berth/coach preference. ☆ My Tickets - View all your ticket details without going through SMSes.